A chequered floor rug can complement any décor or theme well as there is such an extensive range of designs available putting you at a good advantage of finding the perfect rug for your space. A geometric pattern like checks lends a very modern and contemporary look to your home décor. A chequered rug will also add a bit of accent and flair to any formal room. Buying a chequered rug with the same colour tones will bring in a lot of elegance to your room. On the other hand, chequered pattern rugs with contrasting colours add vibrancy to your room. A chequered rug adds visual interest to any room and is ideal to be the main focal point of your home décor. A chequered rug is a perfect setting for a room which has a lot of solid tone upholstery. In our online store, you will find chequered rugs which come in various shapes and sizes. We have chequered rugs available in solid, plain colour on which the design looks very subtle yet adds that extra uniqueness to your living space. Choose between shaggy textures or a flat weave. Whatever your requirement is you will find one which suits your personal style. We have the latest colour trends and patterns for you like, our checkered flag rugs are very popular. If you need a chequered rug in the traditional pattern we have you covered here as well. We select our rugs from across the globe from countries like India, UK, Belgium, Egypt and Turkey, to bring to you the best rugs available online. 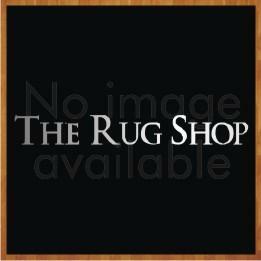 More importantly, you will notice that you will not find a cheaper rug anywhere else. A shaggy chequered rug will be the best floor covering for your living room. A flat-weave chequered rug made from synthetic fibres is best for your dining area or a black and white checkered kitchen rug. Whatever the colour scheme of your home or room, we have a complimenting rug to match your requirement, we even have checkered outdoor rugs.